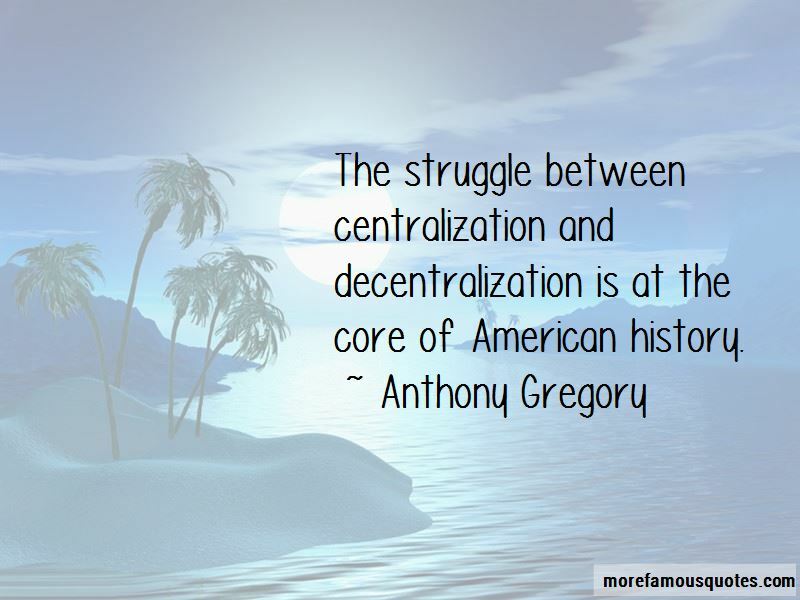 Enjoy the top 10 famous quotes, sayings and quotations by Anthony Gregory. For years, liberals have demonstrated a near religious devotion to the cause of 'cleaning up elections' with campaign finance reform, the wondrous panacea that would finally rescue our great country from corruption in politics ... How anyone could believe that corrupt politicians could or would legislate away their own corruption is completely beyond me. 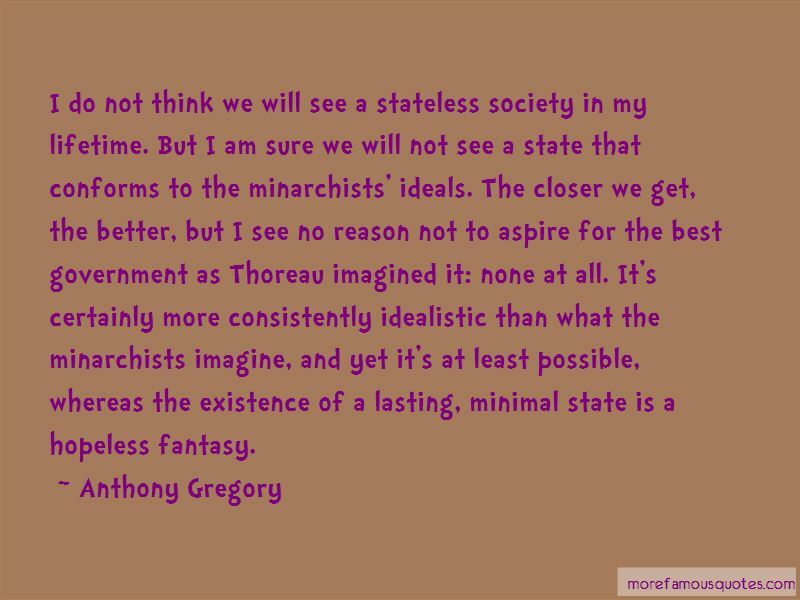 I do not think we will see a stateless society in my lifetime. But I am sure we will not see a state that conforms to the minarchists' ideals. The closer we get, the better, but I see no reason not to aspire for the best government as Thoreau imagined it: none at all. It's certainly more consistently idealistic than what the minarchists imagine, and yet it's at least possible, whereas the existence of a lasting, minimal state is a hopeless fantasy. Want to see more pictures of Anthony Gregory quotes? 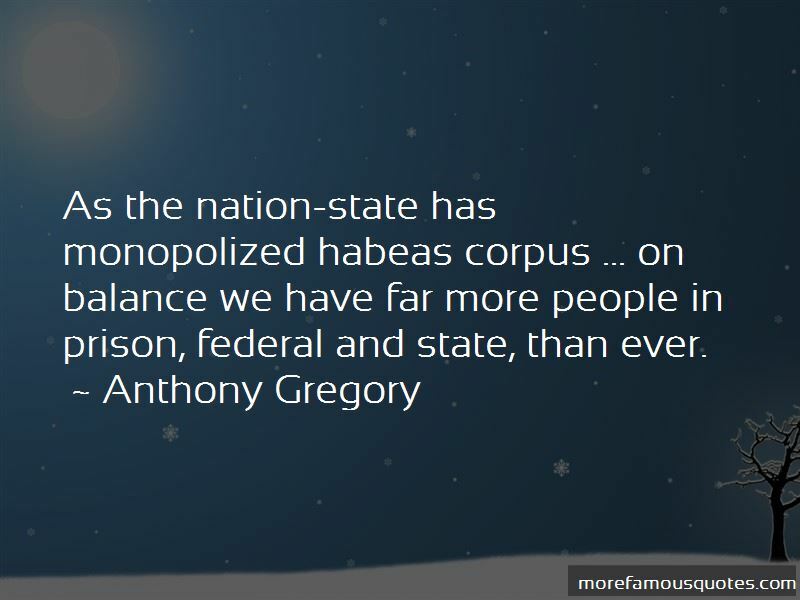 Click on image of Anthony Gregory quotes to view full size. “Buddha, tends to suggest a different solution: Wanting is the cause of all human misery. Learn to want less. Accept that life is” — Anonymous.